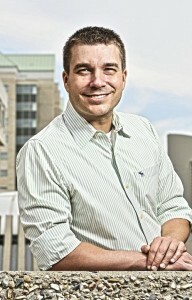 Nicholas Carleton, Ph.D., is an Associate Professor of Psychology at the University of Regina. He has published more than 80 peer-reviewed journal articles and book chapters exploring the fundamental bases of anxiety and related disorders. He has completed more than 150 national and international conference presentations. He also serves as an active member of several national and international professional associations. He has completed clinical training with the Calgary Consortium, the Regina Qu’Appelle Health Regions, the University of Regina, and the Anxiety Treatment and Research Centre in Ontario. Dr. Carleton has received several prestigious awards including most recently a 5-year Canadian Institutes of Health Research New Investigator Salary Award. He has also recently received a 5-year Canadian Institutes of Health Research Operating Grant to study modifying attentional biases as a treatment option for chronic pain. He has also been the recipient of the Outstanding Young Alumnus Crowning Achievement Award from the University of Regina Alumni Association, the Canadian Institutes of Health Research Brain Star Award, a Saskatchewan Health Research Foundation New Investigator Establishment Grant, and a Saskatchewan Health Research Foundation New Investigator Equipment Grant, the Canadian Association for Graduate Studies Distinguished Dissertation Award in Engineering, Medical Sciences, and Natural Sciences, and a Governor General’s Academic Gold Medal. Dr. Carleton is actively involved in clinical and experimental research, with his interests including the biopsychosocial measurement, assessment, and treatments of anxiety, mood, and somatic disorders, focusing on transdiagnostics, fundamental cognitions (i.e., lower-order factors such as intolerance of uncertainty), and shared emergent properties (i.e., higher-order factors such as extraversion). He enjoys teaching and supervision of undergraduate and graduate students, continues to work closely with the AIBL and Dr. Asmundson, and maintains a small private practice for adults who have anxiety and related disorders, particularly pain and posttraumatic stress.